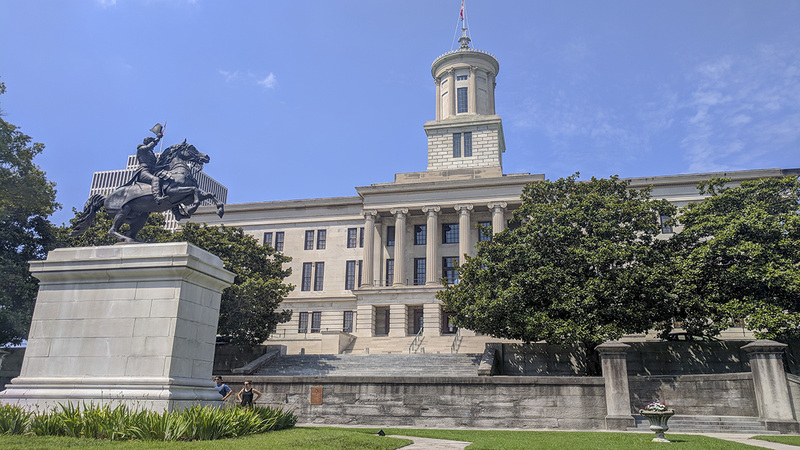 Situated atop Cedar Knob, downtown Nashville’s highest point, the Tennessee State Capitol was built between 1845 and 1859. The building was designed by architect William Strickland in the Greek Revival style, perpetuating the theme of Nashville as the ‘Athens of the South.’ Nashville’s William Pritchard (a self-described ‘landscape gardener’) designed the grounds, but work was delayed until after the Civil War, when the plans were finally completed by engineer and landscape architect John Bogart, with Pritchard serving as head botanist. The building sits atop a steep, grassy hill planted with magnolias, maples, and hickory trees. 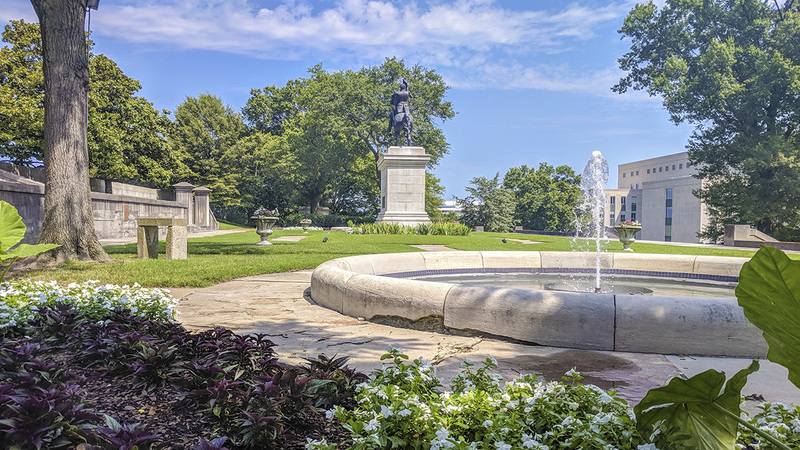 At each of its four corners are circular beds with herbaceous plantings arranged in the shape of three stars, a motif that recalls the Tennessee state flag and is repeated throughout the grounds. 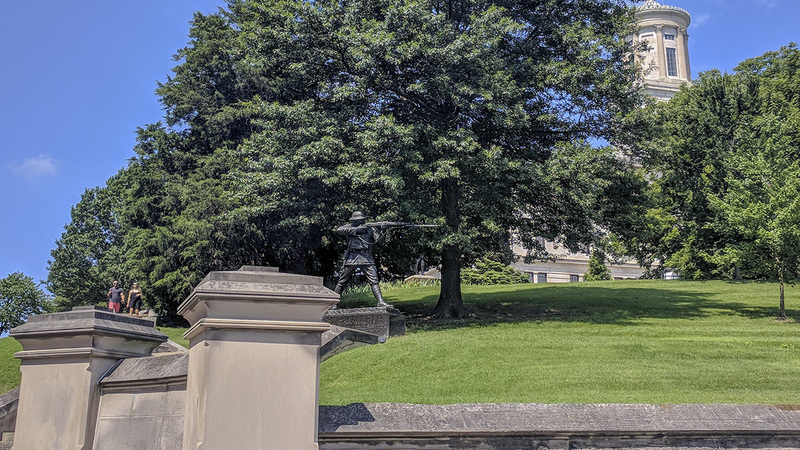 Although immediately encircled by asphalt parking spaces, the Capitol is surrounded by a horseshoe-shaped ribbon of green space with grand, axial approaches on three sides: To the east, the East Garden and terrace, completed in 1877, is reached from Sixth Avenue North by a large stairway and features Calrk Mills' equestrian statue of President Andrew Jackson flanked by two circular fountains, the whole ensemble set within a formal lawn with geometric pathways. 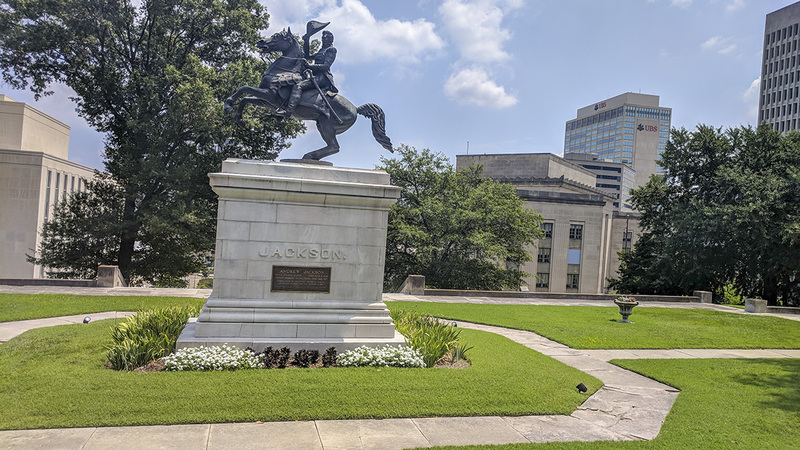 Another staircase on the south marks the axial approach from Legislative Plaza, while to the north a paved, elevated overlook faces the nineteen-acre Bicentennial Capitol Mall State Park, which opened in 1996. 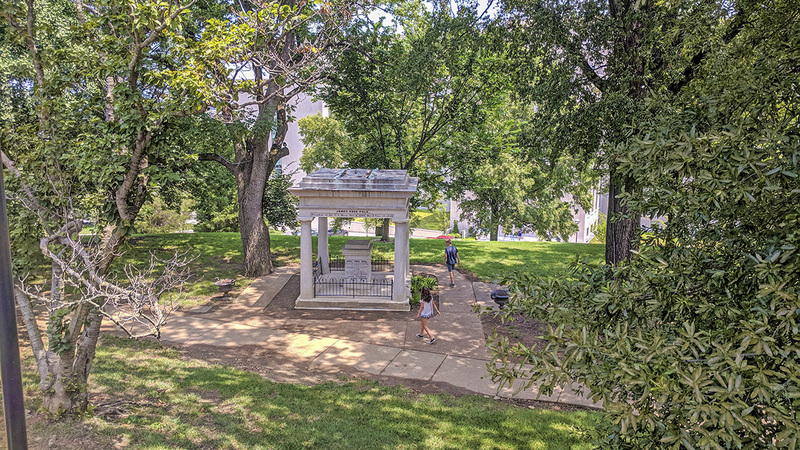 The grounds are home to several statues and memorials, including the tomb of President James Polk and statues of President Andrew Johnson, Sam Davis, Edward W. Carmack, and Alvin York. 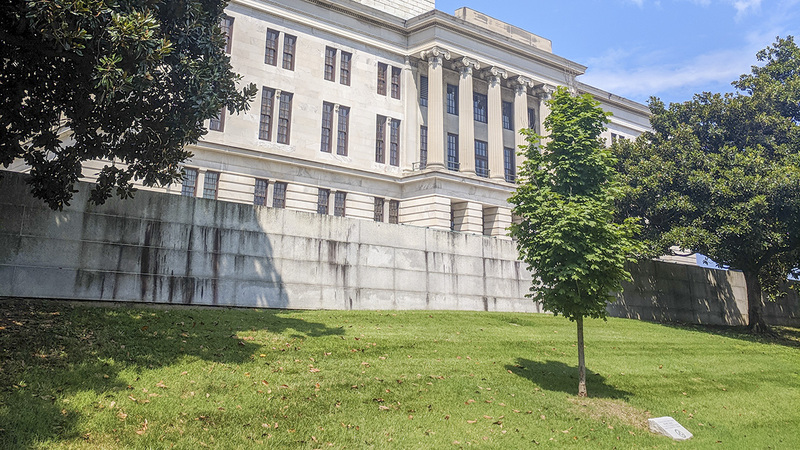 The Tennessee State Capitol was listed in the National Register of Historic Places in 1970 and was named a National Historic Landmark in 1971.